R.C. Bajpai & Co. Chartered Accountants provides auditing, taxation, consultancy and financial management services to a large and wide variety of clients throughout India. We have a stated policy of ensuring that high quality services are provided to each client irrespective of its location and size. This we achieve by bringing the professional and analytical skills to an assignment, which we have developed, through the academic background, internal training, continuing professional education and engagement experience of our personnel. The firm currently provides professional services to various type of professional services to listed and private companies, Non residents, NBFCs and Banks in various fields including Finance, Software, Manufacturing and other Trading and investment businesses. The firm has also retained the services of Chartered Accountants, Cost Accountants, Company Secretaries and Advocates as Consultants on assignment basis. Our aim is not only to meet clients' needs but also to exceed their expectations and to totally delight them with our service quality. WE ALWAYS Consider the specific requirements and real life challenges of our clients and provide solutions to them for achieving improvement in performance in the ever-changing business environment. 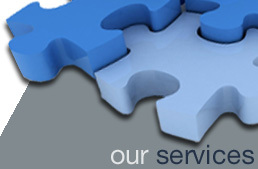 Welcome the opportunity to help our clients to implement the solutions we give. This demonstrates the commitment and confidence we have in the work we do. Work with our clients as strategic business partners. Our approach brings clear strategic thinking and value added solutions to help our clients in optimizing their operational and business potential. Maintain independence of thought and action. Maintain high degree of professional standards and personal conduct. Strive continually to improve professional skills to achieve excellence so that our clients get total satisfaction. Build long lasting relations with our clients. Our approach brings clear strategic thinking and value-added solutions to help our clients in optimizing their operational and business potential. We recognize that the business is all about people and this is never truer than in the service industry. Copyright © R. C. Bajpai & Co.